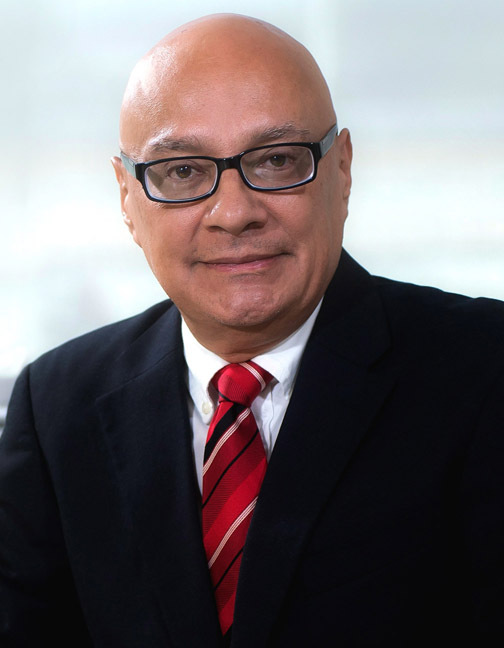 In his 36 years at Cummins Inc., Ignacio L. Garcia has climbed the ladder from his start as a Quality Engineer at the then newly-opened plant in Mexico to the head of the entire Latin American business operations of the multi-billion-dollar global engine and power generation equipment manufacturer. Along the way, he’s proven his mettle by taking on complex global projects crucial to Cummins’ success by holding leadership roles in multiple critical areas of the company’s business, including Manufacturing, Supply Chain, Sales & Marketing, Environment, Health & Safety, and Operations. His efforts have led to his current role as the leader of Cummins’ Latin America Area Business, a $2.5 billion organization with facilities in 25 countries and over 12,000 employees. Under his stewardship, sales have increased by eight percent since the division’s formation just three years ago. The road to his current position involved much work and a series of back and forth moves between his native Mexico and the company’s U.S. facilities. Joining Cummins after a stint as a Quality Engineer at Continental Tire, Mr. Garcia quickly rose to become Quality Leader for the company’s entire Mexican operations. Soon after, Cummins’ U.S. based leadership summoned him to company headquarters in Columbus, Ohio to help augment the growth of the export business. Before long, he was back in Mexico as head of Sales & Marketing for the country, eventually transitioning to Head of Operations where he increased manufacturing output fourfold during his tenure. Mr. Garcia’s operational prowess in Mexico led to a position managing the company’s Jamestown Engine Plant. After three years on the job, he was given additional responsibilities as the leader of the Heavy Duty Engines Global Operations division, as well as the Columbus Engine Plant. In this role, he led a $1.5 billion business with more than 3,000 employees, and was accountable for the production, quality, cost and on-time delivery of heavy-duty engines across North America. His success at managing and directing operations led to a Vice Presidential role in charge of Global Purchasing, where he helped Cummins expand its supply chain into Europe and Asia. Soon Mr. Garcia was named the Corporate Manufacturing and Procurement Officer for the company, where he was tasked with establishing a global corporate manufacturing function with increased focus on capital management, start-up of new plants, manufacturing strategy, lean manufacturing, supply chain, and environmental compliance. His team was responsible for purchases of more than $10 billion in direct and indirect materials and managing corporate capital investments in the range of $600 million each year. To address manufacturing challenges, he developed a simple process to measure operating excellence for more than 100 plants globally and implemented safety measures that cut incident rates by 50 percent. Outside of his enormous responsibilities at Cummins, Mr. Garcia finds time to serve on the boards of the Mexican Truck & Bus Manufacturers Association (ANPACT) and the World Resource Institute in Mexico. He is also heavily involved in philanthropic activities as President of the Cummins Foundation for Mexico with a focus on donations promoting education, environment and social justice.